The market has made its home in several locations since it inception in 1972, from its beginning in the Town Hall parking lot to the Carriage Square (former Sunoco Service Station) parking lot to the present Main Street location. We moved to Main Street in June 1990 and have enjoyed the downtown atmosphere since that time. Our vendors work in a spirit of cooperation with downtown merchants and together are responsible for attracting thousands of shoppers every year! 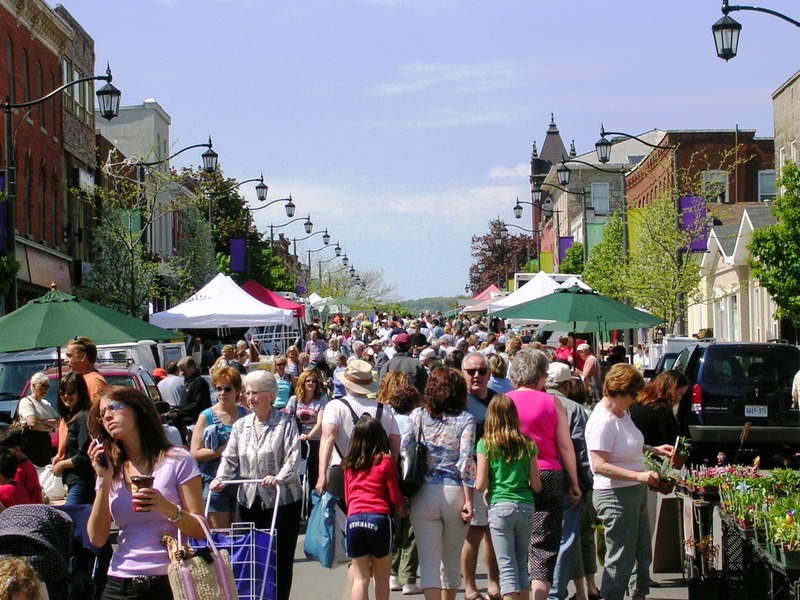 The Milton Farmers’ Market is one of the only Ontario Farmers’ Markets where the street is closed down and pedestrians are free to stroll and visit with local vendors and businesses. The Farmers’ Market gives people a real sense of community and is a great meeting place for friends, family and neighbours. People from the community are able to purchase fresh produce from local farmers and help to support the community in which they live in.